A fundraising campaign created to establish a much-needed home for the Hospice of Southwest Iowa. A peaceful campaign for a home away from home. When the Hospice of Southwest Iowa embarked to raise funds to open a home for hospice, we gave them a peaceful identity and capital campaign that communicated attentive, expert care. Hospice patients, their families, and the dedicated professionals who commit to their care deserve a place where they can feel at home during a difficult time. We needed to create a fundraising campaign that stood out to donors of all income levels—many of whom are bombarded with donor requests on a regular basis. 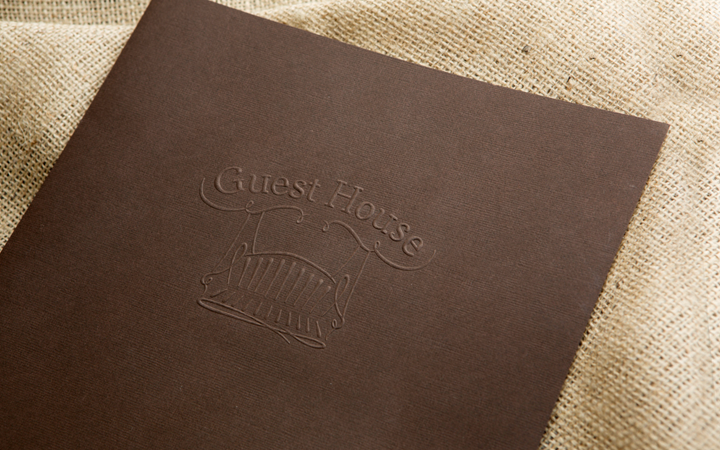 During our discovery process, we learned that the Latin word for hospice means “guesthouse.” We thought Guesthouse would be the perfect name for this campaign. Our goal was to communicate a feeling of peace and comfort in every aspect of the identity. The porch swing logo was designed to transport the viewer to a happier place in the midst of a very difficult time in their lives. 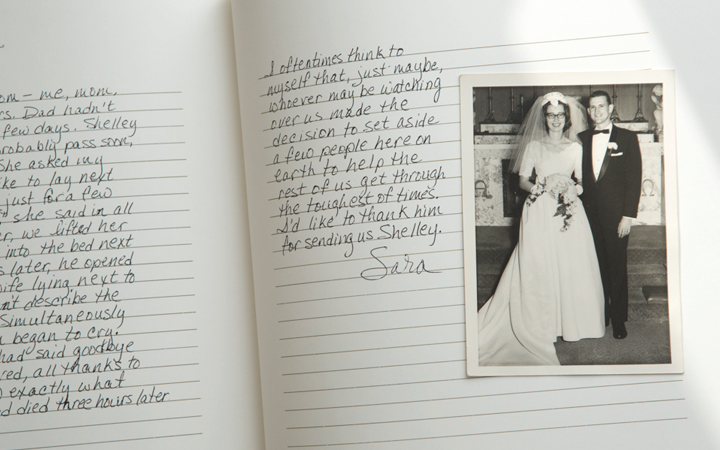 As a memorable leave-behind, we created a handmade “guestbook” filled with real stories shared by families of hospice patients. The leave-behind gave the potential donor a sense of what it is like to have a loved one experience hospice care. 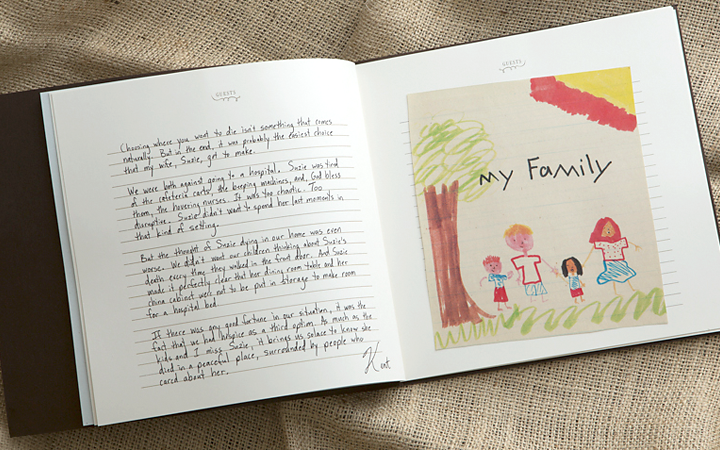 Original artwork and an embossed cover added to the hand-touched expression of attentive, compassionate and expert care that patients experience with Hospice of Southwest Iowa. A printed version of the same piece was created for large-scale distribution. This capital campaign is now over.